Brand recognition is only the first step when it comes to growing a great brand. Making your brand memorable for all the right reasons is crucial to ensuring that your product or service remains at the forefront of potential customers’ minds. Here are ten ideas to get you thinking about how to maximise your brand’s memorability. A brand may be more than a logo, but few memorable brands exist without a carefully crafted logo. Great logos might use graphics, be pictorial or it could use some combination of the two. The essential point is that the chosen logo must reflect the brand. This is a point that often causes much head-scratching. Accepting that the right logo is less of a single design and more of an evolutionary process, involving brainstorming, experimenting, designing, feedback and redesigning, is the first step along the right road. Once you have a logo, use it consistently on all your social media platforms, your website, in advertising and customer communications. It’s easy to think of brands that have become indivisible from certain colours: Tiffany’s iconic blue and Cadbury’s striking purple are just two examples. However, other brands can also use colour to their advantage. You may wish to utilise colour theory, which is the idea that particular colours and shades have a certain effect on people. Alternatively, some businesses prefer to look at the colours already associated with their brand and use them to compile a whole palette. Whatever you choose, always keep in mind the effect you are looking to achieve. A minimalistic, sleek approach calls for a very different colour palette from a sensual, luxurious one. While this isn’t quite all there is to it, a brand’s name is undeniably important and it can pay (quite literally) to get it right. There are many examples of successful brand names and it may help to take a moment and consider exactly why they’re successful. For example, the iPhone is memorable, at least partly, for that lowercase “i”. Other brands bend grammar rules, blurring the boundary between verbs and nouns, as in “Hoover”, or by encouraging the use of nouns as verbs, such as with “Google”. Some use made-up words, others play around with initials or people’s names. Often, the simplest ideas are the best and the most memorable. Not all brands have a physical form but those that do can use it to set themselves apart from the competition. This is an idea clearly seen in the chocolate industry. Think of the segmented triangular shape of Toblerone or the conjoined fingers of a KitKat. Both of these are brands are as recognisable without their outer packaging as they are with it. This may seem a hard act to emulate but it’s worth working at. Succinct slogans and taglines can be a useful way of maintaining your brand’s visibility. Keeping them short and sweet not only forces the brand owner to distil the essence of their brand into as few words as possible but also ensures they are more likely to stick in the minds of those who read them. To be remembered by your audience requires the correct language, tone and phrasing. Know your demographic and the way they communicate. Then emulate it and define your own style so that whenever you deliver your message it’s instantly recognisable. Over the last 15 years Apple and Microsoft have demonstrated how to communicate a complicated subject matter with their target audiences. Once you’ve got right, stick with it. When you have cracked the first six ideas on this page, its then all about consistency. Never deviate, always use the styles you’ve formulated across every channel. You can even go as far as to create a Brand Guideline so that everyone follows the same rules. This helps you and your colleagues to deliver that consistent brand message, look and feel to everything they do. Ok, there are a few cases when breaking the consistency mentioned above is a good idea. Being different from the norm really can set your brand apart. A great example is the drinks company Red Bull. They create memorable and quirky video/TV adverts and they sponsor events such as the Soapbox Races and Extreme Sports to make them appear different to the competition. Their tactics have been so successful that the rest of the industry including Monster, NOS and Rockstar have followed suit. Impressing your audience is often the silver bullet for any brand awareness campaign. If you get this right, your video’s go viral, your social messaging gets liked and shared and most importantly people talk about your brand at work and at play. Video can often be the killer method for wow’ing an audience, and at Blend we really have seen this happen with some of our video production projects, however great products or services in their own right can drive brand awareness. Companies such as Apple, Amazon, Disney and Mercedes try to get both right, great products AND marketing. 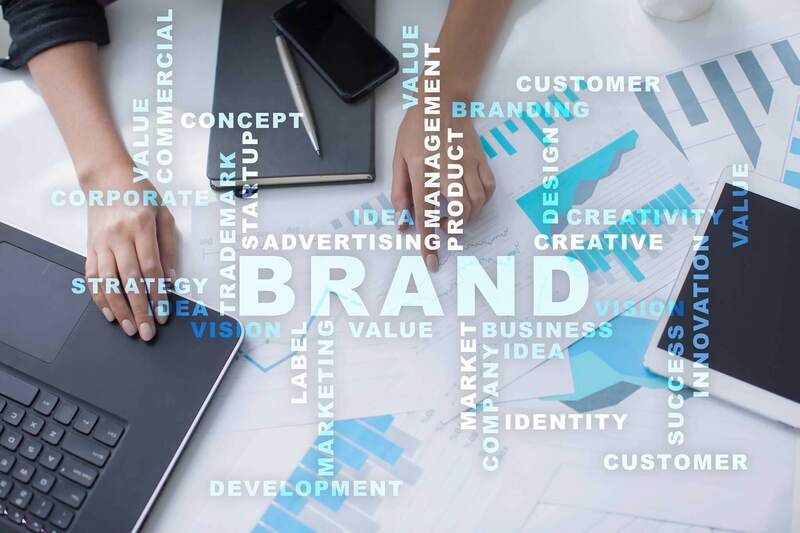 If you incorporate all of these concepts with your brand it can establish an emotional connection with your customers that drives loyalty and buying confidence. A great example is when you go shopping yourself. Check your basket for “branded” items that you could have replaced for a cheaper alternative. This shows you when a marketing team have got it right and emphasises the power of making your brand memorable.